. 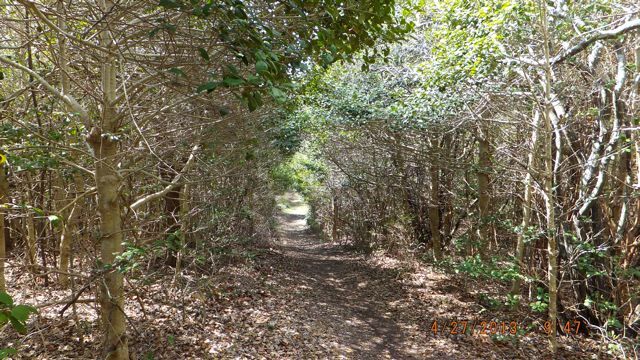 . . check back soon for more pictures and descriptions of our trails . . .
On all of Long Island, only East Hampton has a sizeable forest of white pines. 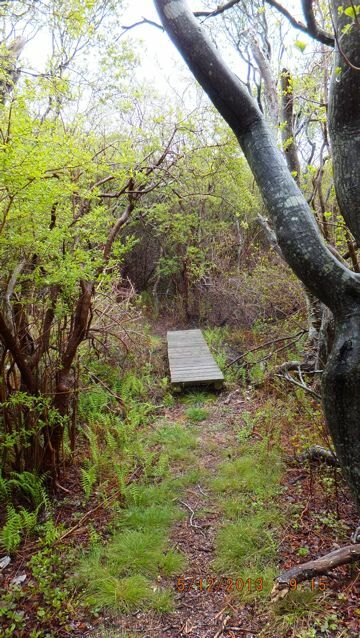 The Northwest Woods is one of East Hampton’s most intriguing natural areas. 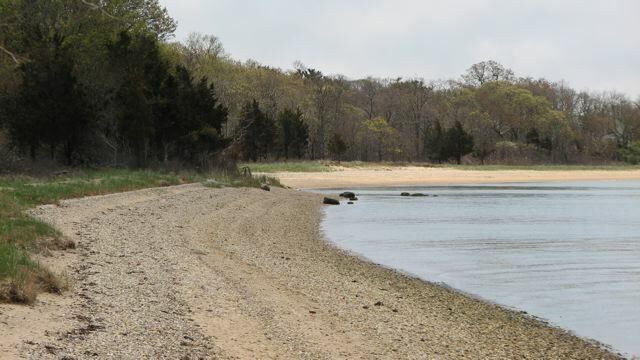 This 5,000-acre expanse of forest between the Sag Harbor Turnpike (Route 114) and the west side of Three Mile Harbor was, until development began in earnest in the early 1970s, probably the most rural area of East Hampton Town. Although subdivision activity and new home construction have changed the face of the Northwest Woods in recent decades, the region retains an aura of forested mystery. Much of the appeal of Northwest is attributable to its white pine forest, which covers several hundred acres of land and extends from near Chatfield’s Hole to the southern part of the Grace Estate. Beneath its canopy of pines, the forest is carpeted with a golden-tan floor of pine needles and shrouded in the deep green half-light of perpetual dusk – gloomy when the sky is overcast, but riven by shafts of sunlight in the early morning or late afternoon of a bright day. The eastern white pine (pinus strobus) is common in the colder climes of New England (it’s the state tree of Maine), but on Long Island it occurs only sporadically, excepting a few man-made groves that were planted in colonial times. Northwest’s white pine forest is a natural phenomenon, not an artificial plantation of trees. The white pine is the largest conifer in the Northeast United States. Its soft and slender blue-green needles – in bundles of five – distinguish the white pine from East Hampton’s other indigenous pine tree, the pitch pine, which has three coarse, stiff needles per bundle. The white pine’s stature – erect, straight, even grand – also sets it apart. It is a beautiful tree. The best examples of the white pine forest can be found along the Northwest Path, either in the woods behind Chatsfield’s Hole, or where the path passes through Wilson’s Grove, a little way south of the intersection of Northwest Road and Old Northwest Road. Wilson’s Grove is a place of rare beauty, a quiet cathedral of stately trees harboring in a pine hollow. 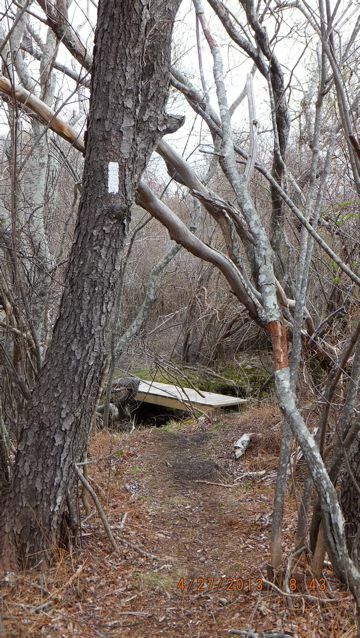 The grove’s unspoiled character owes much to its long-time owner, Marilyn Wilson, who worked with the Peconic Land Trust to preserve her land. EHTPS acknowledged her special contributions in 1998 when she was presented with the first George Sid Miller, Jr Friend of the Trails Award. 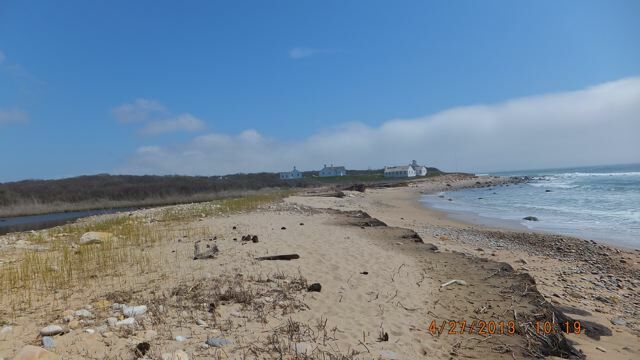 The Amsterdam Beach Preserve, totaling 200 acres, is a mosaic of fresh water swamps, marshes, ponds, vernal pools , and more than a mile of classic Montauk ocean bluff shoreline. 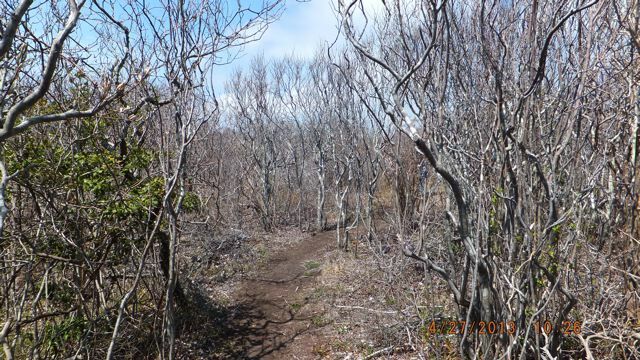 The trail system includes an interior mile-long loop, a half-mile leg boasting panoramic views from the ocean bluff, access to the ocean beach, and a link to the Paumanok Path. 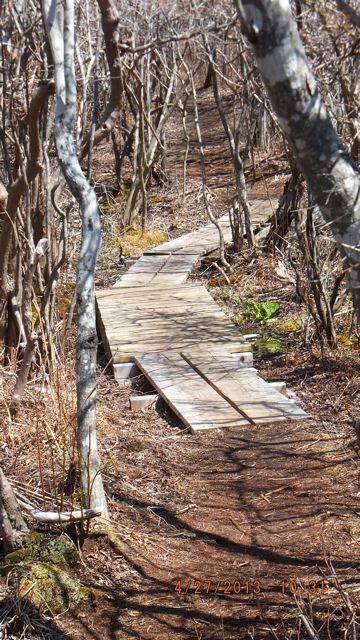 Ridge line vistas, a winding path along secluded ponds, sedge-filled marshes, running brooks, extensive expanses of native ferns, and a passage through a unique holly arbor punctuate the trail. Purchased with funds from New York State, Suffolk County, and the Town of East Hampton , with supplemental funding provided by a federal grant, this Montauk gem, designed by the Town of East Hampton Department of Land Management and built by volunteers from the East Hampton Trails Preservation Society, has become a local favorite and a “go to” destination for visitors to the East End.